A new report highlights the dangers of driving following lack of sleep, after finding that missing just 1-2 hours of sleep in a 24-hour period can almost double the risk of a vehicle crash. The new report finds the risk of a vehicle crash increases significantly for drivers who fail to get enough sleep. What is more, the report – from the AAA Foundation for Traffic Safety – reveals that drivers are more than 11 times more likely to crash if they have had less than 4 hours of sleep in a 24-hour period. It is well known that sleep deprivation can lead to drowsiness and reduced concentration. For drivers, lack of sleep may reduce the ability to pay attention to the road, slow reaction times, and affect the ability to make sensible decisions. 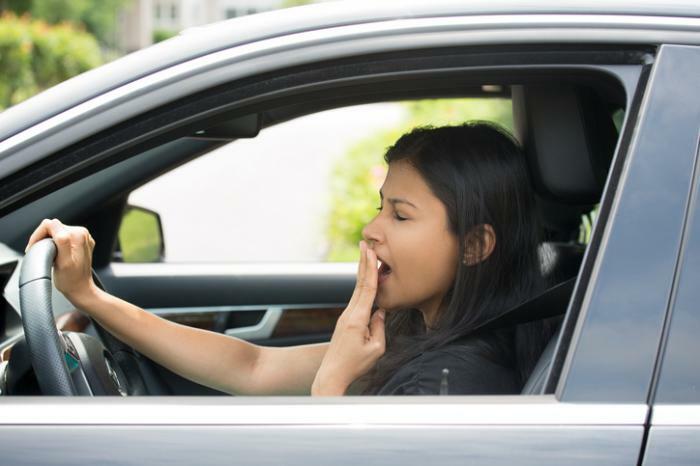 A previous survey from the AAA Foundation for Traffic Safety revealed that 97 percent of drivers deem drowsy driving to be a “completely unacceptable behavior” that puts the safety of themselves and others at risk. However, despite knowing the risks of drowsy driving, around 1 in 3 drivers report having driven while sleepy, and around 1 in 25 drivers report having fallen asleep behind the wheel in the past month. Such behavior can have devastating consequences; according to the Centers for Disease Control and Prevention (CDC), drowsy driving was responsible for around 72,000 crashes, 44,000 injuries, and 800 deaths in 2013. In the new report, the AAA Foundation for Traffic Safety set out to establish the extent to which lack of sleep raises the risk of a motor vehicle crash. Brian C. Tefft, senior research associate at the AAA Foundation for Traffic Safety, and colleagues analyzed data from the National Highway Traffic Safety Administration (NHTSA) National Motor Vehicle Crash Causation Survey (NMVCCS). This survey provided information on 7,234 drivers from the U.S. who were involved in 4,751 motor vehicle crashes between July 2005 and December 2007. All crashes had been reported to the police and involved the dispatch of emergency medical services. As part of the investigation into each crash, drivers were asked to report the start and end times of any sleep they had in the 24 hours prior to the crash, including any naps that lasted at least 30 minutes. Using this information, researchers were able to calculate the total amount of sleep each driver had over the 24-hour period and estimate how this contributed to their crash risk. The results revealed that drivers who had 6-7 hours of sleep over 24 hours were 1.3 times more likely to have a motor vehicle crash than those who slept the recommended 7 hours or more. Drivers who had 5-6 or 4-5 hours of sleep in a 24-hour period were 1.9 times and 4.3 times more likely to be involved in a crash, respectively, while drivers who had less than 4 hours of sleep were at 11.5 times greater risk of a crash. Tefft and team point to some limitations of their findings. For example, sleep times were self-reported by drivers and may be subject to inaccuracies. Additionally, there was lack of reliable data for drivers’ drug and alcohol use, which can impact driving safety. 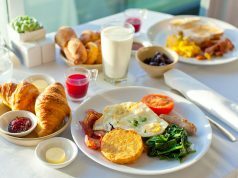 Still, the researchers believe their findings help quantify the risks of drowsy driving and should act as a warning to individuals thinking about getting behind a wheel after a poor night’s sleep. Yawning or blinking frequently, problems keeping eyes open, trouble remembering the past few miles, missing an exit, and lane drifting can be warning signs of driving while drowsy. However, the AAA Foundation for Traffic Safety note that more than half of drivers who have been involved in fatigue-related motor vehicle crashes say they have experienced no symptoms prior to dozing off behind the wheel. Travel with an alert passenger and, if possible, take turns driving. Read how driving after a night shift can raise crash risk. Next articleIs weekend exercise just as good as being active every day?